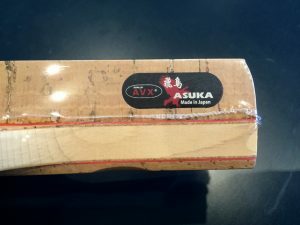 I first came to know about the Avalox table tennis brand through the reputation of some of their blades, which were used by several former World Champions. Through my involvement with the OOAK table tennis shop as one of the few Avalox distributors, I got to know Mr Koay, a former Malaysian National player and coach, and the Managing Director of Avallo AVX, the makers of the Avalox and AVX brands. What impressed me most about him was his willingness to listen to my ideas and suggestions on how to improve their products and expand their range. This is in contrast to many of the major manufacturers who mainly seem interested in sales and increasing their profits. Because Avallo AVX are not as large as some of the major brands, nor do they have the advertising budget they do, many people have not heard from them, despite the great reputation of their table tennis blades. To find out more about the company and their products, I asked Mr Koay if he would be willing to agree to an interview, and he kindly agreed! So I collected all my questions and those from the major table tennis forums, and Mr Koay has kindly answered them, as presented below. I would like to publicly offer my thanks to Mr Koay, as he has spend considerable time out of his busy schedule, to answering and editing these Q & As! Alex: Can you tell us a little about the history of the company, where they started and how it evolved? Mr Koay: The Company — Avallo Sdn. Bhd. — was founded in 1988 by 3 gentlemen: Mr Tomas Berner from Sweden, Mr H Kagimoto from Japan and Mr Koay Huck Seang from Malaysia. Tomas Berner was national coach of Sweden for many years. He was also once President of Stiga. Mr Kagimoto was one of Japan’s team players that won 1969 WTTC men’s team title. Mr Koay, that’s me, was national player and coach of Malaysia in the 70s and 80s. The 3 of us met a number of times during international meets including WTTCs and became good friends, and in 1988 Avallo company was formed. Since the company was incorporated and registered in Malaysia, I was made Managing Director with the other 2 as Directors. Mr Koay remains as Managing Director until now. Alex: How did the brand become Malaysian? Has the change turned out for better or worse? Mr Koay: Allow me to correct your question: The brand, i.e Avalox, has been started and operated (business) by Avallo, a co. registered in Malaysia since day one of its business operation. You may check with ITTF to confirm this. We applied for ITTF’s approvals for our racket coverings and started paying fees annually from 1989 until now! All correspondence from ITTF were sent to (and done with) Avallo Malaysia since 1989. Mr Odd Gustavsen (ITTF) has been dealing with us for more than 20 years. The “change” you meant came during mid 90s — when China market appeared to be more “liberalised”. Apart from sponsoring China TTA’s players, our supplier of rubber (racket coverings) in China also became our marketing agent in China. A major problem developed when unauthorized, rejected and even faked merchandise flooded in the market. Worst of all our Chinese supplier at the time, registered our Avalox brand name without our consent and knowledge! We struggled for years to negotiate with them, but unfortunately all our efforts failed. Of course we have cut all business ties with this party. This was a major setback to our company! China is one of the major/biggest markets. Knowing legal battles will take years and still end up no winner, we tried to re-start our business in China with AVX (which took years to get trademark approval) BUT inevitably missed all golden business opportunities in China from late 90s onwards. We had to make new molds for our rubbers to replace the old ones, sending newly produced rubber samples for ITTF’s examination and approval….etc All (SOP) were done and approvals obtained. 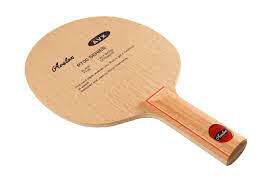 As far as ITTF is concerned, those “Avalox” rubber made with OLD molds in China are considered DELISTED and “illegal”. If my understanding is right (perhaps you know also if you are involved in your TTA’s tournaments), during any ITTF recognised tournaments if the umpire incharged refers to ITTF’s approved equipment website, he/she will find all approved/valid brandlines — meaning the DELISTED or REPLACED “made-in-China Avalox” rubbers are illegal/not allowed. Yes, the QUALITY/PERFORMANCE are NOT the same. New/legal rubbers are designed for clean glue — with “built-in” additional power/tension. Alex: I believe Avalox used to sponsor the Chinese National team in the past. Do Avalox sponsor any players today? Are you aware of any high level players using Avalox / AVX equipment in recent years? Mr Koay: We and our China agent do sponsor some players with potential, but we are yet to sign up with any high level or star player …… Sure we will try. Alex: There seem to be 3 names associated with your brand, ie. AVX, Avalox and Avalo… can you explain the difference and why the changes were made? Mr Koay: Just refer to ITTF’s approved list for Racket Coverings. Avalox and/or AVX are listed. But, in practice, we can’t advertise Avalox in China. Many from China (who know) are buying from us or our Hong Kong and Macau agent (also China agent). Alex: Are some of your blades still made in Sweden? Mr Koay: Yes. As mentioned above, our former partner/director from Sweden is still our KEY manufacturer/supplier. Alex: Were some of the older P-Series models (with the oval lenses) made in a different factory or the same factory? A common question is that people prefer the older blades and they felt like they had better performance. What changes have been made? Mr Koay: Initially our blades were made in Stiga’s factory. But at a later stage when Stiga faced problems and stopped production for some time later, our Swedish partner formed another company/factory with some ex staff of Stiga. Of course we decided to continue our business with him as he was still our partner/director. I was the one who handled blades — tailor made for players of China national team. Most of them — including world champions — preferred MUCH HEAVIER blades (around 95 gm). There were also some who specified/wanted EXTRA SOFT outer layer (surface veneer), etc…. Even NOW we are still handling “tailor made” blades for some tournament players playing in Europe — again, they ask for heavier and thicker blades! So, if you are buying and selling big quantity of blades from us, you may find our blades STABLE. But, if you are not and happen to come across with some heavier/thicker blades (especially some ex-China players), you may jump to the wrong conclusion and think that we have made changes. Alex: The newer(current) P700 in the market is thicker and harder than the older version which had a lot more feel. Why did Avalox not keep the older version and give the newer version a new name? The change gives the impression that the company is very inconsistent in it’s products. Would the company be producing the older version again? Mr Koay: There were more extra tailor-made-blades (designed for specific players) in the market earlier. Some heavier and some lighter. Thicker/heavier blades should give more power but it may differ individually — depends on one’s physical conditions. Some may complain that their racket movement/speed/flexibility is affected. Under normal circumstances our blades range between 85 to 95 gm. However, we are flexible enough to accommodate “tailor made” requests. Our larger agents/dealers can request for either heavier or lighter products when placing confirmed Orders. Alex: The western market tends to prefer thicker handles on their blade compared to the Asian market, and some find your current handles a little too thin. Is it possible to provide thicker handles on the blades for some of your market or distributors? Mr Koay: On bigger handles — Unfortunately “Handles” are not like shirts which have sizes of XL, L, M and S…. Technically it is possible to have thicker handles. We will study your request but do you have any idea how many pcs and what models of blades you want to have thicker handles?? We shall discuss with our supplier. Alex: Do you have any plans for new blades? New carbon blades maybe? Mr Koay: If you are referring to made-in-Sweden carbon blades, then the answer is: Yes, will be introduced and marketed soon. Alex: There is talk that there are quite a few fakes Avalox blades on the market. Some retailers seem to sell just a few models at much cheaper prices, and these are not listed as your distributors. Do you have many problems with illegal copies of blades? What steps can you take to prevent this? Is there any way we can tell the genuine from the fake ones? Mr Koay: We are of course aware of Avalox fake blades supplied by our former China agent. We can’t control or prevent such behavior. We hope our customers and supporters will buy from our appointed agents/distributors. In fact, some of our dealers are telling their customers that our blades bearing joint brand names of Avalox/AVX) is 100% genuine. Whatever it is, this situation is considered UNFORTUNATE for us. BEST OPTION IS TO DEAL WITH OUR APPOINTED AGENTS/DISTRIBUTORS. At times we were notified by our agents/dealers/supporters of such blades NOT made/supplied by us. Some years back during one of my visits to China, I personally was shown Avalox blades with made-in-Sweden lens AND the spelling of Sweden was “Swwden”. These blades of course were not authorised (by us). There are in fact MANY fake blades (of different brands) in China as long as demands prevail. Many fake blades are made by factories of competitors with attractive and nice outlook. As a friend from Butterfly confided to me: sometimes they could not identify the difference just from the look. They have to break it and judge it from the nature of inner layers. Alex: How does a blade like AVX Asuka compared to other high end Jpen blades like those from butterfly, Kokutaku, TSP and xiom. (i mean the hinoki grade). Mr Koay: Apart from our made-in-Sweden blades, other blades (including hinoki blades) are all developed and manufactured in well established factories that also supply to brand names mentioned in your question. As far as Hinoki blades are concerned, we concentrate mainly on high-end products which we are confident of the quality. Alex: Why should a player choose an Avalox blade over say a Butterfly? Mr Koay: We have to admit that we can’t afford to have advertisements like Butterfly. On characteristics of blades, we prefer to have our own instead of copying others. In fact one of our blades suppliers told us that there were quite a number of other brand owners brought along our blades and asked for production of “same” products. Another example is even better: One ex-world champion was using our blade but “forced” to use new sponsor’s blades after signing up attractive contracts. But, his subsequent performance turned bad. Finally, he decided to continue with our blades but replace our handles/lens with new brand name. Perhaps you know this TRUE story (and also the name of this player). Alex: Do you have any plans for other high-tech blades, like arylate carbon, zylon, kevlar, etc? Mr Koay: We have some on the pipeline. Some already marketed but none or little in Australia. I will get my colleague to recommend to you. Alex: Are any of your blade particularly well suited to long pimple rubbers like Mo? Is there a reason you don’t offer any defensive style blades? Mr Koay: Market/demand for such blades may be smaller BUT with more info/requests from your side, we shall work on them. Alex: What are your plans for new rubbers on the market? We’ve seen a few new ones on the ITTF list, but none are available yet. Will you have any German-made Tensors or Japanese-made tensioned rubbers like Tenergy? I played with Pronte when it was the latest thing out, but suppliers of it are/were few and far between. I know that Avalox can make a superior product and wish them all the best. I loved the sticky top sheet on the Pronte, any plans for a defensive rubber with a similar top-sheet for defense? Mr Koay: Compared with our blades (in term of quality/standard), our rubbers are considered weak. WE WILL HAVE NEW RUBBER PRODUCTS INTRODUCED AND MARKETED FROM NEXT MONTH (Dec 2012). Of course we want to take care of all needs. We are looking forward to your support in promoting our new rubbers AND, please do share with us whatever feedback received from your clients. This will help when developing our future products. Alex: Are there any plans to sponsor players from south east Asia or Oceania (helping develop the sports in these region)? What happened to your company management/marketing? Haven’t heard much about them lately. Well, not for quite a long time now. Are you content with their current production quotas and not planning to expand their market? What/where/who is their main market? Do Avalox have a strategy to develop the brand in the European market, I have 3 blades 2x blue thunder and a P700 and used Pronte and Sterco which are good middle of the road rubbers, however I’ve yet to meet another player that uses the rubbers or a person that has an Avalox blade in the UK. Mr Koay: Hopefully our NEW rubber products will receive good response and support from end users. With stable QC of the products and steady support from end users, we shall review our marketing strategies AND please feel free to provide your ideas and suggestions, including recommending potential players for sponsorship. As for UK market, we have yet to find any reliable representative to market our products. You may recommend if you have any good party in mind. NOTE: AS mentioned above, Avallo AVX are very interested in feedback about their products from players world wide, so if you’re willing to provide some feedback or offer some suggestions, please do it here, or on the TT forums where this will also be posted, or to me privately. If you do have further questions, please post these too, and I can request for Mr Koay to answer these too. 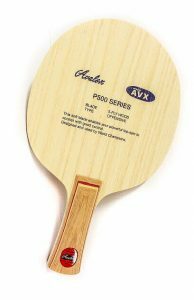 A startling and frank interview with Avalox, the table tennis manufacturer made famous for it's popular blades like the P500 and P700, used by many former world champions, and still popular today. ← Luckiest table tennis shots! It’s really good to see someone open for feedbacks. Avalox must hire a genius marketing analyst who has decent understanding of the game and can provide them with techniques to increase their geographical reach and business. I’ve been an Avalox lover for a long time until my Avalox hinoki blade got broken and I couldn’t find it anywhere in India. If someone has any knowledge about how can I buy an Avalox hinoki blade, I will appreciate your help. Thank you Shubbam, yes I agree. What Avalox hinoki blade did you break? They still make a few blades with Hinoki layers. i,m a long yer fun of avalox. i was using P500 for 8 yers long time ago and won loadsof extraordinary games. After the ball getting bigger and slower, i felt p500 a bit slow so tried some other brand blades such as BTF , DHS, nittaku, stiga, andro… but none gave me satisfactory result, only made me change one blade to another, until now, i finalised on avalox P777, an absolute piece of classy. that long lost feel come back to me again, a lot of missing game-kill shot become available to me again, in table flip and heavy backspin loop both hands , get easier than any! I left many personal experience comments on other web such as TT365 and TT11.com, I hope some day I can represent avalox, the love for ever, YAO LI.